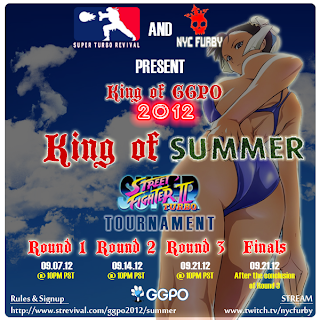 The final round in the "King of Summer" tournament has ended. Arturo "TS Sabin" Sanchez hosted the second round of the Super Street Fighter II Turbo action on Friday (Sept. 21). The popular Street Fighter competitor also provided live commentary as he has throughout the series. Sanchez updated the brackets as the final round was played. See who reigned supreme, after the jump.